After the June 26th Raid, the Gettysburg civilians thought their war experience was over. But campfires on the western ridges, the arrival of Union cavalry regiments, and General Buford’s predictions told a different story. The Battle of Gettysburg exploded in the little community and raged for three days. 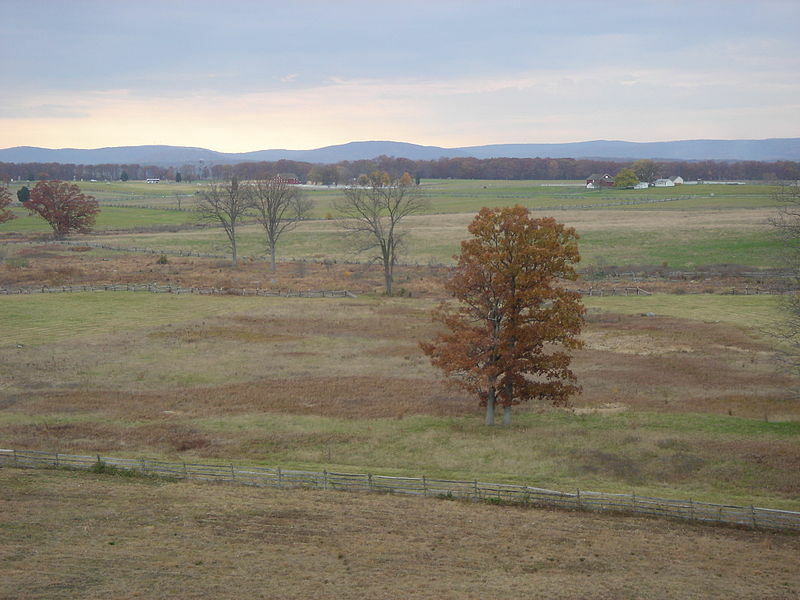 Unwillingly, the citizens of Gettysburg found themselves at the center of one of the largest battles of the Civil War. Though the conflict swept through the town and was fought in the crop fields, the civilians played no major role in the battle strategy or fighting. The Gettysburg civilian war experience does not even appear heroic at first glance. What did the civilians do, aside from hiding in their cellars? They cooked food, sheltered Union soldiers from Confederate searchers, and took care of the wounded. However, some of these tasks “looked” different, depending on where the civilian lived. Let’s compare and contrast the experiences in town and country. The citizens of Gettysburg town had skirmishing in the streets throughout the three days of the battle. Retreating Union soldiers ran, hid, and sniped at advancing Confederates. Then the Rebels took over the town and both sides deployed sharp shooters. (One of these sharp shooter’s stray bullets would actually kill a civilian). Homes were used as hospitals, but usually when a family volunteered to care for injured soldiers. 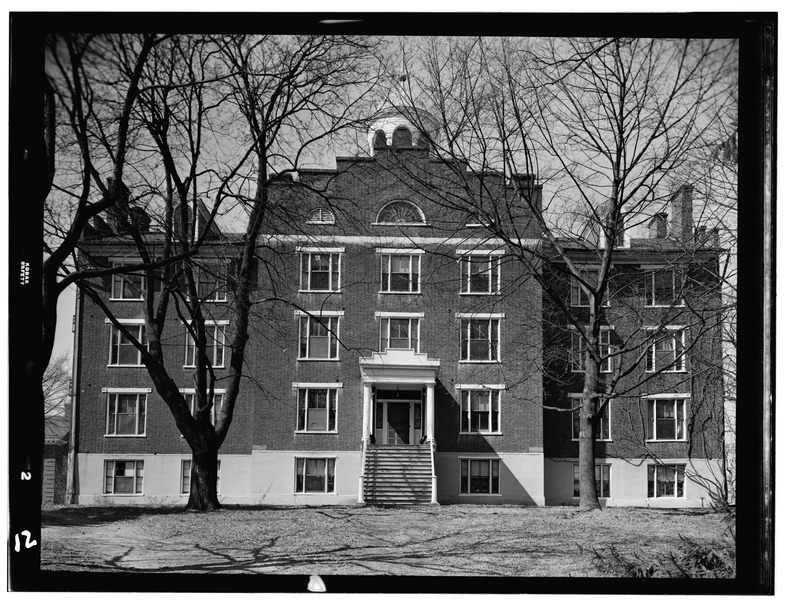 Most of the large hospitals in town were located in the churches, college buildings, schools, warehouses, or other public buildings. Women brought food and bandages to these central locations and quickly volunteered to learn nursing skills. Thus, a town civilian experienced war, but – as a general rule – not invasively. In other words, a lady often had a choice to volunteer her home as a hospital. To some extent, she could prevent the Rebels from looting simply by her presence. When the battle ended, she lost a few items and probably part of the food supply to hungry Confederates, but likely her home was still habitable. Often, the farmers and their families were in the direct area of the battle or behind the fighting lines. Part of the battle might be fought in their peach orchard, wheat field, or growing corn field. Many of the civilians in the epicenter of battle were advised to leave beforehand, and they did. Homes and barns were used as hospitals and often without permission. Surgeons needed shelter to organize their care of the wounded and took over the most conveniently located buildings. Families who were still at their house were often shocked, but soon became part of the “medical team” from sheer necessity. If the family had left, they often came back to a completely uninhabitable home and piece of property. Some farmers’ barns were burned, causing additional hardship. Therefore, a civilian in the countryside experienced war in a direct way and without choice. He could not prevent a general from forming battle lines in the ripe wheat and she could not stop a surgeon from taking over the house. By the end of the battle, these civilians were left with complete disaster, few crops, and often no livestock. They would have no time or energy beyond what was needed to care for the wounded in their vicinity, bury the dead, and pray that they would find a way to find food and financial aid to survive the winter. While all Gettysburg civilians had some common experiences, the actual magnitude of the war experience determined on their location. The town civilians had to endure the nerve-wracking sharpshooting, but usually survived with homes still livable and with a few supplies left to take to the hospitals or to aid the wounded brought to their homes. The farmers and their families found war literally exploding on their doorsteps and leaving horribly carnage behind; their homes and farm buildings were taken over for hospital use and their was no escape from the situation. Next week, we’ll explore the Letterman System of Battlefield Evacuation and it’s impact on civilians. P.S. Did you know the few Gettysburg civilian historical fiction books focus on civilians in the town? Blue, Gray & Crimson will be one of the first to address the civilian situation in the countryside.